Golf Lodge Cottage is the ideal base for your golfing vacation or golf holiday in Scotland, with over twenty East Lothian courses within 20 minutes drive of the Lodge. North Berwick's West Links Golf Course is within a 5 minute walk, and Muirfield, host to the British Open Championship is a 5 minute drive away. Home to the Honourable Company of Edinburgh Golfers since 1891, originally marked out by Old Tom Morris. Muirfield is considered by many professionals as the ultimate Open Championship venue. 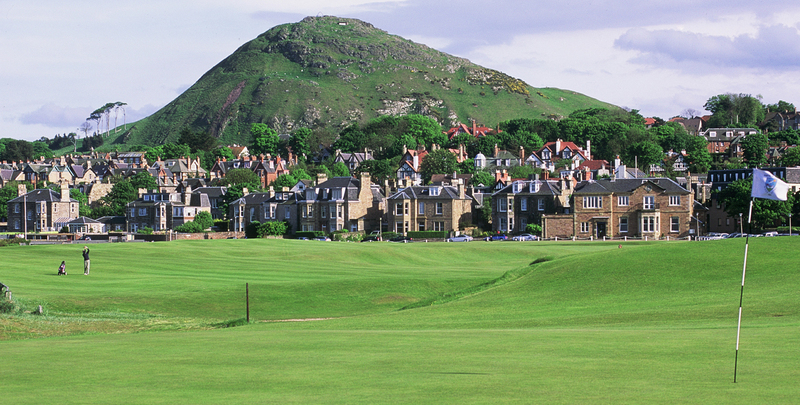 Founded in 1832, North Berwick men were famous for their short swings and wonderful short game to combat the climate. With panoramic views of the Bass Rock on the Firth of Forth, many of its holes have been impersonated worldwide, including the par 3 15th " Redan ". 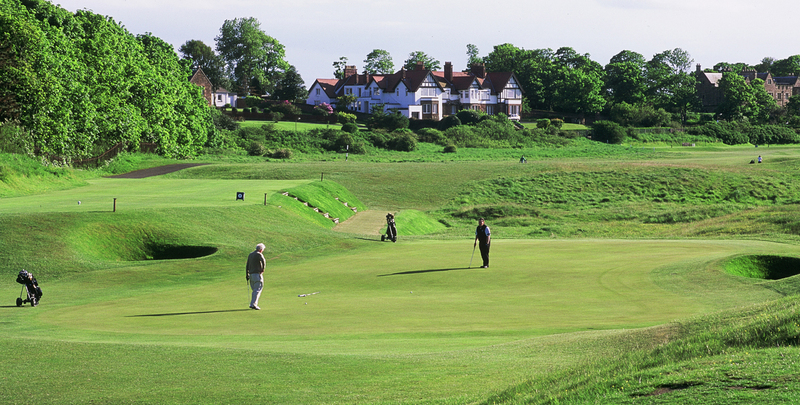 In existence since at least 1650, " Gullane hill " has stretches of the most beautiful golfing country in the world. Turf of exceptional closeness and natural Sand bunkers of endless shape and variety with enviable views of the Firth of Forth and Edinburgh. The course is a mixture of parkland (1st to 3rd and 18th holes ), with the remainder being essentially links, many of the holes running alongside the beach. Although sheltered on the first 3 holes, having very few trees, the course is exposed to typical wintry gales. This can make play extremely interesting, especially at the 16th " Narrows " ( 171 yds par 3) which is only 25 yards wide. A new creation, Craigielaw offers the opportunity to play a links course on land less dominated by dunes with strategically placed, and dramatically styled bunkers & greens. An inviting mixture of Pine Forest and a fast running Scottish Links. The greens are generous in size but fiedishly subtle in their contouring. Compared with Fidra, the Direlton is a more traditional Scottish Links with sweeping fairways, deep menacing bunkers and undulating sand dunes bordering each fairway. Luffness is a championship course adjacent to Gullane. Famous for its true greens. When Bobby Locke offered the head greenkeeper a written statement to this effect, he replied "no thank ye sir, a 'body kens aboot it"
The 35th oldest golf club is a Scottish Links retaining its original traditional features. Several holes border the coastline and each hole enjoys magnificent views. The Glen combines inland turf with a seaside setting. 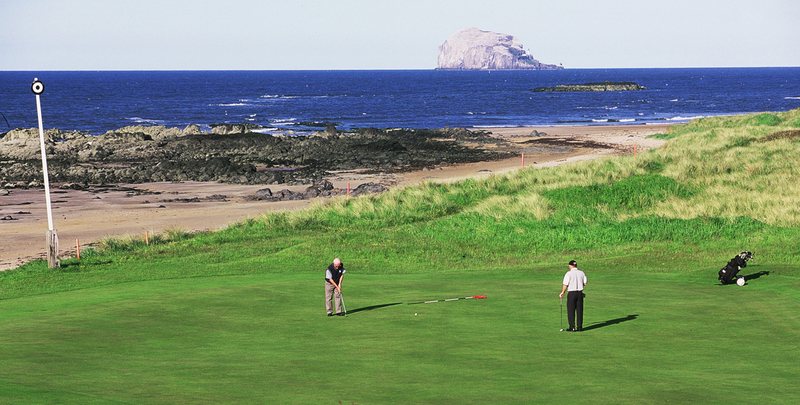 Every holes offers the golfer a different perspective of the Firth of Forth with view dominated by the Bass Rock. Elevated tees and greens across the course mean that careful club selection, consistency and confidence in iron play are vital. The 11th Earl of Weymes and March invited Harry S Colt to construct a golf course at Longniddry and this opened for play in 1921. Several of the holes are lined with mature Scotts pine, with others surrounded by Sea Buckthorn or heavy rough. Here are over 80 bunkers negotiate, and has often been used as an Open qualifying venue. This is an outstanding 9 hole parkland course with the Lammermuir Hills as its backdrop. Its enormous 1st class putting greens are playable all year round and any putting weakness will be exposed here. Watch out for the Speedy Burn which runs across the course affecting shots at 4 holes. A superb parkland course set in former country estate. Mature trees line most holes and the river Tyne is the course's north boundary, forming the out of bounds at holes 11 & 15. A demanding parkland course overlooking the historick village of Inveresk designed by James Braid. In contrast to many East Lothian courses, it is densely populated by trees, nestling in a loop formed by the River Esk. An original Open Championship venue, hosting this competition on six occasions between 1874 and 1889. The links is renowned for being the oldest playing course in the world. A unique golfing experience. This engaging parkland course, designed by James Braid offers golfers views of Arthur's Seat and Edinburgh. The fron 9 provides a fair challenge, but beware the "sting in the tail" as the final third of the course can make or break a score.